This Friday, the Cincinnati Art Museum Art offers a beer bash as a complement to its current Terracotta Army exhibit. This may just be the Tri-State's most eclectic weekend yet—and that's a good thing. From a cake convention and table tennis tournament to a beer bash with some warriors, this edition of the WVXU "Do" List does not lack for unique things to do. Starting today through Saturday, the Cincinnati Music Festival comes to Paul Brown Stadium, featuring artists like Jill Scott, Boyz II Men, DJ Jazzy Jeff, The Roots and Common. (Did you know Common first learned he could rap right here in the Queen City?) Tickets for the star-studded event start at $50. Ricky Nye plays Oxford's free Uptown Park summer concert series (corner of Main and High streets) starting at 7 p.m.
Take a ride to Indianapolis for the inaugural Indy Shorts International Film Fest at the Newfields (4000 North Michigan Road), which runs through Sunday and will feature a variety of short films submitted from around the world that are competing for cash grand prize in such categories as Narrative, Documentary, and Indiana Spotlight. Tickets start at $12. Five-piece blues band The Bluebirds perform a concert at the Behringer Crawford Museum in Covington's Devou Park (1600 Montague Road) starting at 7 p.m. Admission is $5 for adults and $3 for children ages 3-12. Through Sunday, the Duke Energy Center (525 Elm Street) will host the International Cake Exploration Societé's annual convention, featuring an edible Sugar Art Gallery, marketplace, cake challenge and demos by sugar artists from all over the world. A one-day pass is $25 for adults; $10 for children 3-12 years old. Every Thursday at 7 p.m., Washington Park (1230 Elm Street) holds Roots Revival, a free event featuring bluegrass, roots, and Americana music at the bandstand. This week's performance is by the Maria Carrelli Band. From 6:30-10 p.m., Ault Park serves up Summer Sips where for $40, you can taste up to seven one-ounce pours from more than 40 clear and infused vodkas and tequilas. VIBE Cincinnati Friday takes over Fountain Square from 11 a.m. to 11 p.m., featuring vendors, live music by various deejays, and a performance by the R&B and soul group Natural Progression. The Cincinnati Art Museum (953 Eden Park Drive) puts on another Art After Dark, this time featuring a Beer Bash with the Terracotta Army (pictured, top). 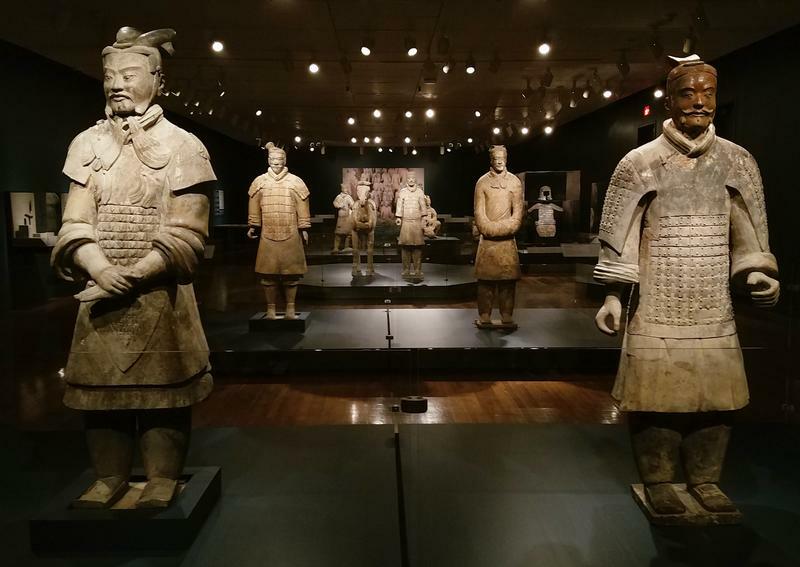 The evening, sponsored in part by 91.7 WVXU, takes place from 5-9 p.m. and offers food, live music and access to the entire museum, including the Terracotta Army: Legacy of the First Emperor of China exhibit. Admission is free, but visitors must pick up timed tickets in person at the museum. FC Cincinnati hosts Espanyol of Spain's top league at Nippert Stadium in an international friendly that begins at 7:30 p.m. Tickets start at $15. The Know Theater (1120 Jackson Street) puts on Whisper House, a play written by Kyle Jarrow with music and lyrics by Duncan Sheik. Billed as "a pop musical ghost story," the performance focuses on the fear of the unkown. Tickets start at $25. From 6-9 p.m., Northside's PAR-Projects (1662 Hoffner Street) will host an opening reception for What Could Happen Here, a multidisciplinary art exhibit by this year's Cincinnati 5 artists, including Mary Clare Rietz, Intermedio, Pones and more. Starting at 7 p.m., Sharon Woods (10245 Winton Road) puts on a free concert by Saffire Express, who will cover a variety of classic rock, country and contemporary songs. If you're a fan of tennis -- table tennis in particular -- from 1-6 p.m., Washington Park will be home to the Urban Pong table tennis tournament, where 64 top players will compete for a prize package that includes a pair of tickets to the W&S Open Finals Match. It's perhaps the biggest archeological find of the last century, some 8,000 terracotta statues buried in the Chinese countryside. China's terracotta warriors debut in Cincinnati Friday as Terracotta Army: Legacy of the First Emperor of China marches into the Cincinnati Art Museum. 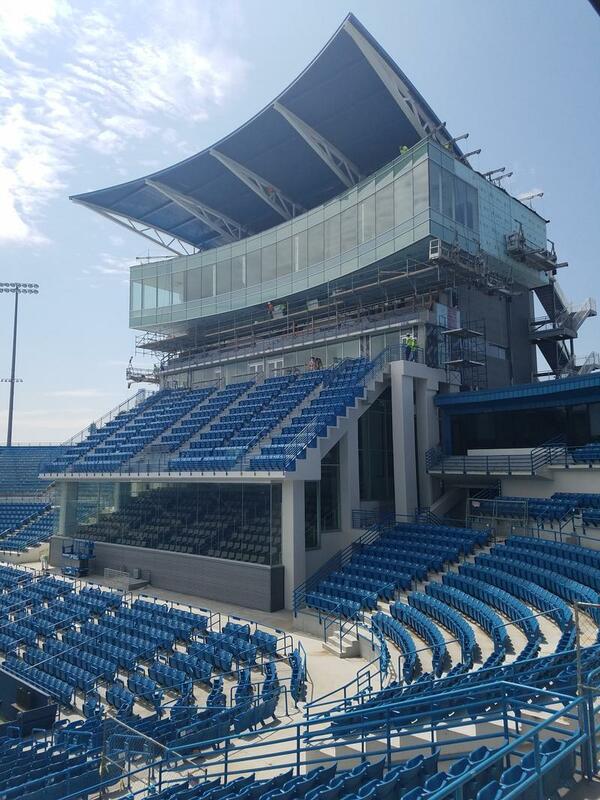 The director of the Western & Southern Open says new seating in the south building of the Lindner Family Tennis Center is the first of its kind in the world for tennis. Andre Silva showed off the new construction Thursday, three weeks before the start of the tournament.